REFUND POLICY: Text contents will be available soon …. All orders ship same day via common carrier United Parcel Service (UPS) or FedEx. Next day shipments are available and most common. All shipments are followed by email to customer with tracking information. Shipments are made Monday thru Friday and Saturday deliveries are available upon request. For additional information on status of shipments please contact customer service at 336-843-4627. By returning product(s), you are certifying that all the following statements are true. 1.) The specific product(s) were purchased directly from Independent Pharmacy Distributor. 2.) That product(s) have been stored properly at a temperature indicated on the product label and in the original bottle. 3.) Drug product(s) have never been opened and drug product(s) have never been repackaged, in compliance with the Prescription Drug Marketing Act. 1.) 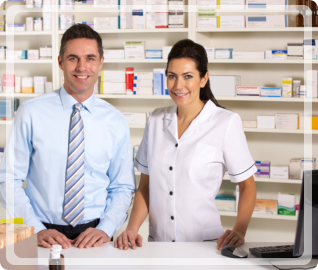 Return’s are only accepted on purchases made directly from Independent Pharmacy Distributor(IPD). 2.) Returns are only accepted from the original purchaser. 3.) Returns due to order fulfillment, courier damages, or computer errors must be reported within 3 days of receipt and are returnable for full value at IPD freight expense. 4.) Overstock product returned within 30 days of invoice date will receive full credit. 5.) Overstock product returned after 30 days of the invoice date and has greater then 6 months dating will be assessed a 10% restocking fee. 6.) Credit will be based on the current selling price or original invoice price, whichever is lower, adjusted for terms discounts, rebates, free goods, ect. if applicable. 7.) Credit will be issued for valid and authorized returns within 30 days of receipt. No deductions may be taken prior to that time. 8.) All credits will be issued in the form of a credit memo, no checks will be mailed. 9.) Sales representatives cannot authorize return of products or pick up product(s). All returns must be authorized by a manager. 10.) All returns above $1,000.00 is subject to review prior to return. 1.) Opened or partial bottles ; Repackaged products or products not in original sealed container. 2.) Packages that arrive at Independent Pharmacy Distributors(IPD’s) distribution center without a return authorization form. 5.) Any product purchased as a short-dated, close-out inventory, special orders, purchased for export, and drop shipments. 7.) Products shipped back to IPD with lot numbers other than what the customer	has received from IPD. 8.) Returned merchandise damaged in transit by the customer’s carrier. 9.) HAZMAT items: all sales of HAZMAT items are considered final sale and non-returnable. 10.) Product sent to our distibution center that has not received prior authorization. Such items will not be returned and will be destroyed. 11.) Product defaced with stickers, price marks, knife cuts, etc. 12.) Damaged product(s) due to improper storage and handling, fire, flood, heat, cold, water, smoke, catastrophe or bankruptcy sale, or purchased or otherwise obtained in violation of any Federal, State, or local law or regulation. 13.) Product returned by a customer that has not made a purchase for a period of two months or longer. 14.) Freight unless the return is a result of our error. 15.) Any product purchased greater than 6 months ago. 16.) Any product that has an expiration date less then 6 months. 1.) 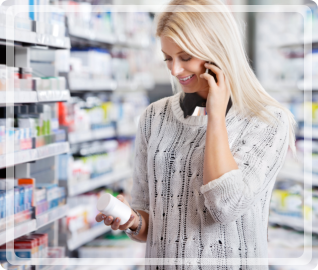 Contact Independent Pharmacy Distibributors (IPD) Customer Service Department at 1-877-690-0473 to obtain a return authorization form for any items you wish to	return for credit including recalls. To ensure proper processing, please have items numbers, invoice numbers, lot & expiration numbers. 2.) If the return was caused by an error created by IPD, a recall, a product defect, or damage; a prepaid return tag will be provided. 3.) Returns not due to an IPD error may be shipped back to us at your courier of choice. Your carrier must be able to bill you directly for the shipping expense. 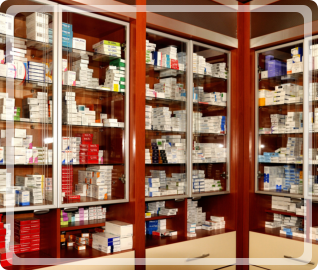 Independent Pharmacy Distributor reserves the right to amend this policy at any time and would supersede all previous policies and is hereby automatically incorporated into any prior customer agreements or contracts.